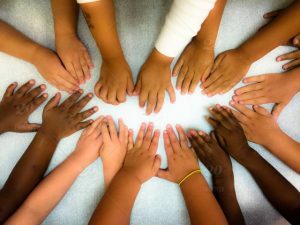 Home » Blog » Is Cry for PR Diversity Different This Time? 1.18.2018 December 6, 2018 Posted by Rick Gould CPA, J.D. It happens every few years, just like a Swiss watch. Cries are heard regarding the general lack of diversity within the creative services field and how it’s costing agencies and firms dearly. There are a few rounds of self-flagellation within the four walls, as the media trades run agonizing front-page stories examining why agencies remain so homogenized. At marketing industry conferences throughout the country, senior executives vow to do better. Then things pretty much return to the status quo. However, the latest groundswell for diversity throughout marketing sectors—including the PR industry—feels different this time. PR leaders are moving beyond cocktail-party compliant conversation regarding diversity and looking to take action. For the last year or so, a flurry of studies has been released pointing out why agency owners and C-level executives must reconfigure their hiring and recruiting practices in order to increase minority representation within their firms. But many agencies remain behind the eight ball. According to the Bureau of Labor Statistics, the ethnic makeup of the PR industry is 10.3 percent African American, 5.4 percent Asian-American and 3.3 percent Hispanic-American. The Ketchum-Fast Company survey of 500 creative professionals released last summer uncovered an important dichotomy: Respondents believe diversity of thought is valued by their organization (72 percent), yet an overwhelming majority think their organization still needs to do more to encourage diversity of ideas (85 percent). Another salient aspect of the survey: 54 percent of respondents think that they work in a creative echo chamber. Company leadership was cited as the biggest factor contributing to the echo chamber (64 percent), followed by conversations with like minded people (57 percent). When hiring new employees, Strauss added, PR managers tend to “self-segregate,” which hampers firms’ creativity and feeds the echo chamber. Along with the industry at large, individual firms must take the lead proactively and start their own and unique diversity initiatives. They need to invest real money in programs designed not only to enhance diversity, but reduce groupthink and get hiring managers out of their comfort zone. Take Ketchum’s LaunchPad, a “blind system” that enables Ketchum to examine a job candidate’s potential versus prior work experience or background. Candidates compete to address a real client challenge and are selected based on a meritocratic basis. The approach has leveled the playing field, making it easier for non-traditional candidates to get their foot in the door, Strauss says. The agency’s Diversity, Equity and Inclusion dashboard enable managers to objectively compare data year-over-year, with results that include more diversity hires since LaunchPad debuted. What’s more, Ketchum in 2016 partnered with Boston University to introduce the Kotcher-Ketchum Scholarship and Internship Program for African-American students. There are many factors driving such changes. For starters, perhaps agency owners are beginning to appreciate that demographics is destiny. By 2055, the U.S. will not have a single racial or ethnic majority. Throughout the next five decades, the majority of U.S. population growth is projected to be linked to Asian and Latin American immigration, according to Pew Research Center. One in seven U.S. infants (14 percent) were multiracial or multiethnic in 2015, nearly triple the share in1980. Another reason diversity efforts now seem more legit is the growing number of Millennials working in PR, many of whom seem allergic to how previous generations staffed their agencies and cultivated talent. Indeed, Millennials are more racially accepting than previous generations and don’t get hung up on, say, interracial dating. These are profound changes taking root in the U.S. culture. For PR firm owners and hiring managers the ability to attract people of color, members of the LGBT community and non-traditional job candidates will require commitment from the tippy top of the organizations, stick-to-itiveness and, perhaps most crucial, imagination. Obstacles abound. According to a report released last year by the City College of New York and The Holmes Report, one of the fundamental challenges is to develop a singular definition for Diversity and Inclusion that would serve as a measurable standard across the industry. Time and energy were also cited as barriers to improving diversity. However, when you think of the challenges to improve the complexion of the PR industry, is that a legitimate excuse? PR firm owners and C-level executives need to get in front of these trends, lest they get stuck in reactionary mode and have to play catch up. If they don’t get off the dime soon they’re firms increasingly will be seen among prospects as relics. There are other factors spurring diversity efforts, of course. The only constant in life is change. But the bottom line is diversity is simply good business, broadening the firm’s brand appeal to a wider array of people, burnishing creative and carving new trails. Sign up for our email newsletter, Inside Edge…Business Strategy for PR, Media & Creative Service Agencies.